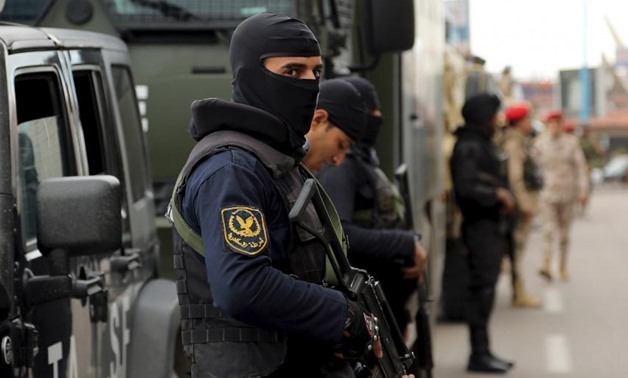 Egyptian security forces slain four militants that they suspect for being involved in a bomb attack that targeted the police chief in the city of Alexandria, two days before the March 26 presidential election. The bomb attack in the city of Alexandria in March killed two police agents. A bomb launched under a car exploded as the city’s police chief Major General Mostafa al-Nemr drove past. Nemr narrowly escaped the attack. 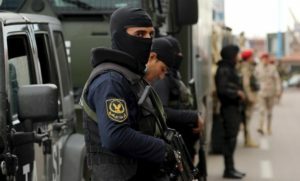 four men allegedly involved in the attack were killed in a shootout with members of Hasam Movement in Assiut province, some 464 kms south of Alexandria. Hasam Movement, a militant group that emerged in 2016 and is believed linked to outlawed Muslim Brotherhood has been blamed for the March attack. The movement has staged several urban attacks against security forces. Two other alleged militants believed to have taken part in the Alexandria attack were nabbed, including the driver of the car used in the attack, the ministry said. He was nailed in an apartment in Alexandria. Some ammunition and a pistol were found in the flat, the ministry added.